Dimensions 1.15 by 8 by 10 in. Many disputes are too big for small claims court but too small to justify a lawyerâs fee. Fortunately, if you are willing to learn the courtroom ropes, you can successfully handle your own case from start to finish. 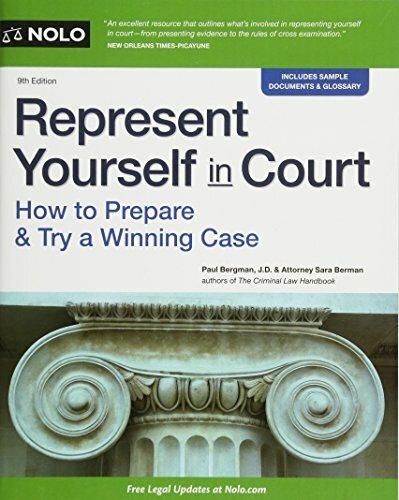 Whether you are a plaintiff or a defendant, this book will help you handle a bankruptcy, divorce, landlord-tenant dispute, breach of contract case, small business disputeâor any other civil lawsuit.